Over the past year, Lorde has experienced the type of meteoric success that most musicians only dream of. The 17-year-old’s full-length debut, Pure Heroine, daintily muscled its way to the top of music charts around the globe last fall, debuting at number 3 on the Billboard 200, and selling 129,000 copies during its first week. 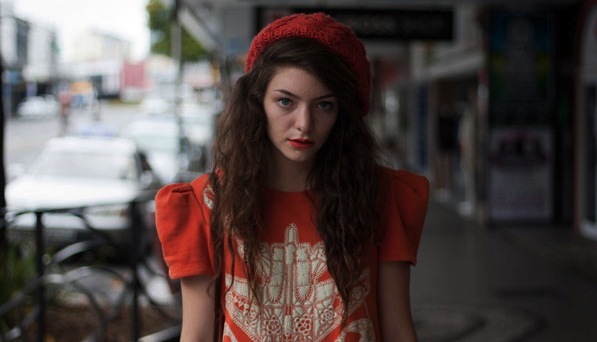 However, as pointed out by the fan site Lorde Daily, before she was making pop music history, Lorde was featured on some tracks recorded by New Zealand band And They Were Masked. Formed just a year before the release of Pure Heroine, the Fugazi and Mars Volta-inspired outfit put out an album called Characters back in 2012, which includes the vocal stylings of a then 16-year-old Lorde on at least a couple of tracks. Earlier this summer, Lorde announced a month-long run set for September, and more recently revealed that she would be curating the soundtrack for the upcoming installment of The Hunger Games.